Create an overview page with all your projects listed in one place. Your clients will love this new ProjectHuddle update! With the Subscribed Projects Shortcode users can view all the projects they’re subscribed to in an organized list or gallery. Create a new client “account page” and add the shortcode to provide an overview of each user’s current projects and the approval status. It’s not limited to clients, you and your team can use this shortcode to keep track of projects too! 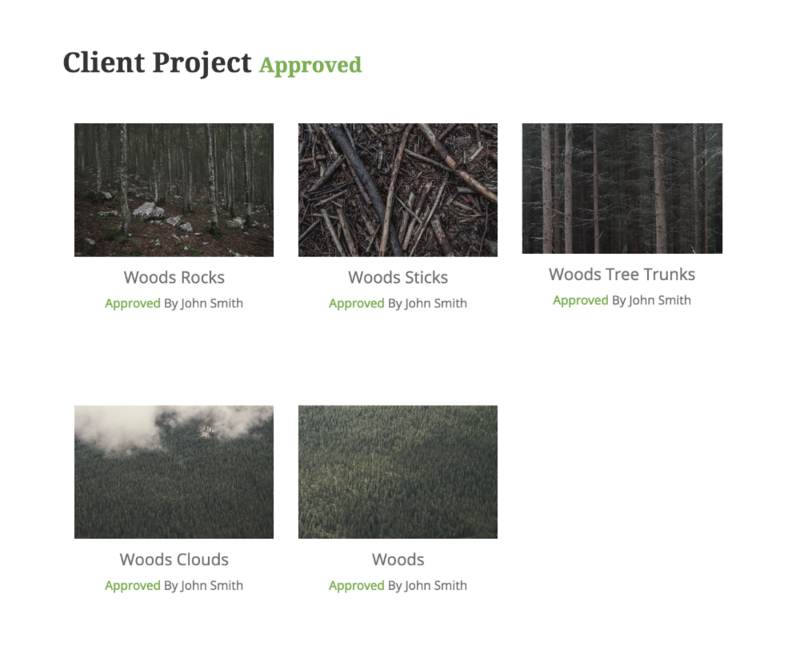 Use the gallery format option, and projects will match your theme’s gallery styles. ProjectHuddle project galleries will transition seamlessly with the branding and style on the rest of your site. You can even add additional styling to the project list or gallery format. Project galleries are always secure. Only subscribed users can view their projects status, links and galleries. The shortcode also has tons of other display options so you can customize the look and functionality to best fit you and your client’s needs. Manually add users to projects. 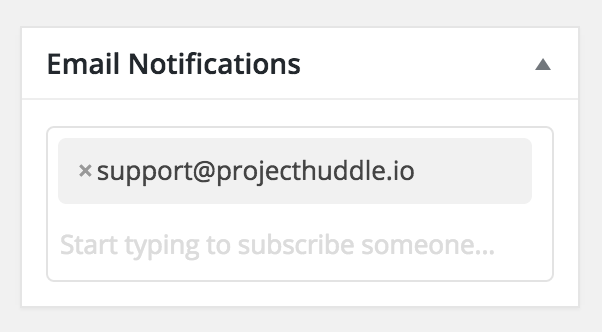 As of ProjectHuddle 1.3.0, you can manually add or remove WordPress users and email addresses to projects. These people will receive email notifications for everything that’s happening on a project so everyone can stay on top of the project status. You can also add plain ol’ email addresses to this box too, so your clients don’t necessarily need WordPress accounts on your site to stay up to date. Once you’ve typed a valid email you can select it to add it to the project.